This Schedule E (Additional Services) (Can/UK/Aus) is included in editable Word format that can be customized in Word or by using the included Wizard software. 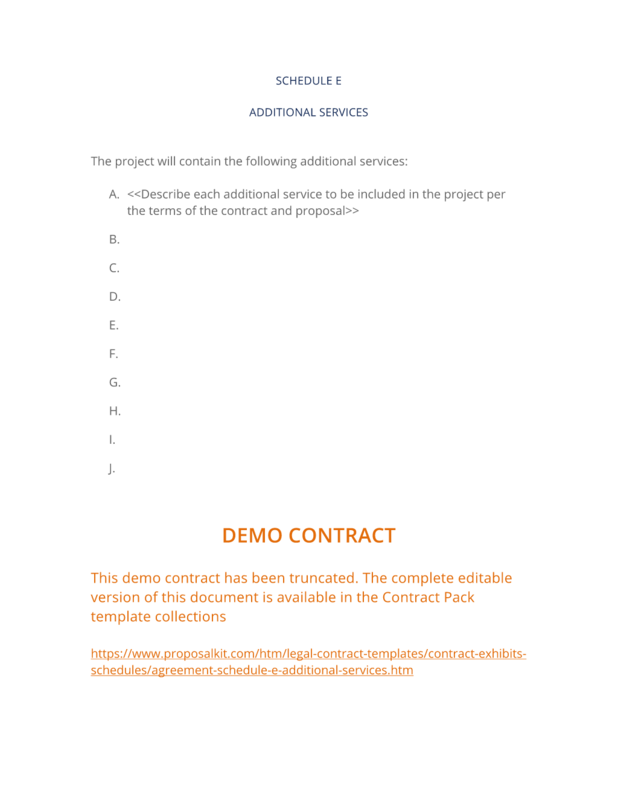 Describe each additional service to be included in the project per the terms of the contract and proposal. The complete Schedule E (Additional Services) (Can/UK/Aus) - with the actual formatting and layout - is available in this Contract Pack.